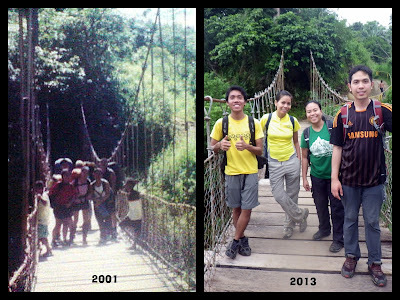 Over the weekend, I reunited with hiker friends Gideon, Ivan Lakwatsero, Arisse and Arvin for my first ever ascent up Mt. Natib in Bataan. We boarded the 1:30 AM bus from Genesis terminal along EDSA-Cubao and arrived at the waiting shed in Orani after 2.5 hours. Since we came too early, we were picked up by a hired tricycle driver (60 Pesos/head, 5 people in one trike). Cold air blasted everywhere as we took the 30-minute uphill trike ride to Barangay Tala. 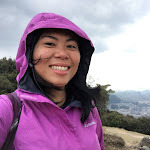 After meeting with our guide Wilnor, and registering (30 Pesos/head) at the barangay hall, we started hiking at 5:08 AM. It was a little dark but we didn't need headlamps, dawn was about to break in a few minutes. 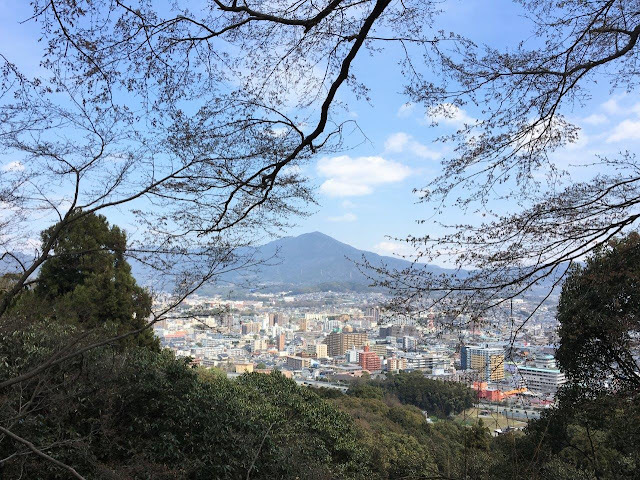 The trail started off in a rocky wide road where trees where abundant on the left side and birds gleefully chirping away, obscured by thick foliage. As weather has not been good the past couple of days around Manila and several provinces, we were only too glad that the sky was clear. As the sun rose from the sky, we were greeted by views of the mountains of Zambales on our right side. In 30 minutes, we arrived at the gate that took us further up the mountain. Trail was still even and I was grateful for a very easy start. Soon, we were hiking on a rocky trail, brushing on weeds and shrubs. Classified by PHIVOLCS as a potentially active volcano, you can find lots of big rocks & sand and thick flora along trail. I felt like I was back in Mt. Hibok-hibok, a volcano in Camiguin which I hiked 3 months ago (blog here). The notoriously steep trail to the summit came in a few hours later. I practically crawled my way to the top, using all four limbs on some parts just to get through. I was breathless as we emerged to the opening that led to the peak but I managed a huge smile as I met with the rest of the team who arrived earlier. Fog was beginning to encroach our surroundings but we were blessed with a view for a few minutes, allowing us to see Mt. Samat, Mt. Morong and other nearby mountains. I checked for limatik bites this mountain is oh so popular for and saw I only had one on my arm. I struggled so hard with the assault to the peak, I didn't even notice it. While the blood gushing from my arm looks grotesque, it doesn't hurt at all. I had to put a bandage over it as the bleeding didn't stop for hours. We left the summit after 30 minutes. The trail down was easier as I no longer have to lift my entire body up but the cliffs were scary. We had to slow down to avoid the slippery mud and enormous wet rocks. In under an hour, we reached the junction that marked the start of our long, arduous journey to Morong. The traverse trail wasn't so bad but it was too long, around 7 hours long! Occasionally steep on some sections, we had to cross several sections of Morong river about 8 times. 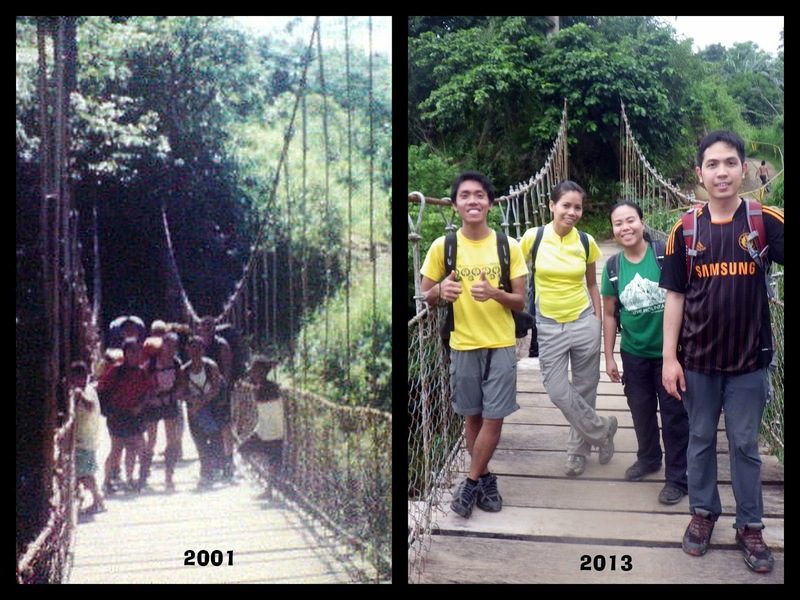 As we crossed the hanging bridge that marked the end of our journey, I couldn't help but feel giddy. Iwas here 12 years ago, (a newbie in our college outdoor club), trembling at the first step as I was extremely afraid of heights. I'm still acrophobic but I'm glad I made it halfway to the bridge before I started trembling again. Improving! Lol! More photos from our hike here. Genesis Liner bus to Orani, Bataan (187 pesos; 2.5 hours), Cubao Terminal. First trip is at 1:30 AM but be there by 1:00 AM. You can also board at the Genesis terminal in Pasay. 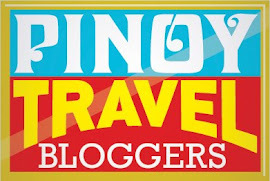 Traverse Itinerary is posted at Gid's blog at Pinoy Mountaineer. 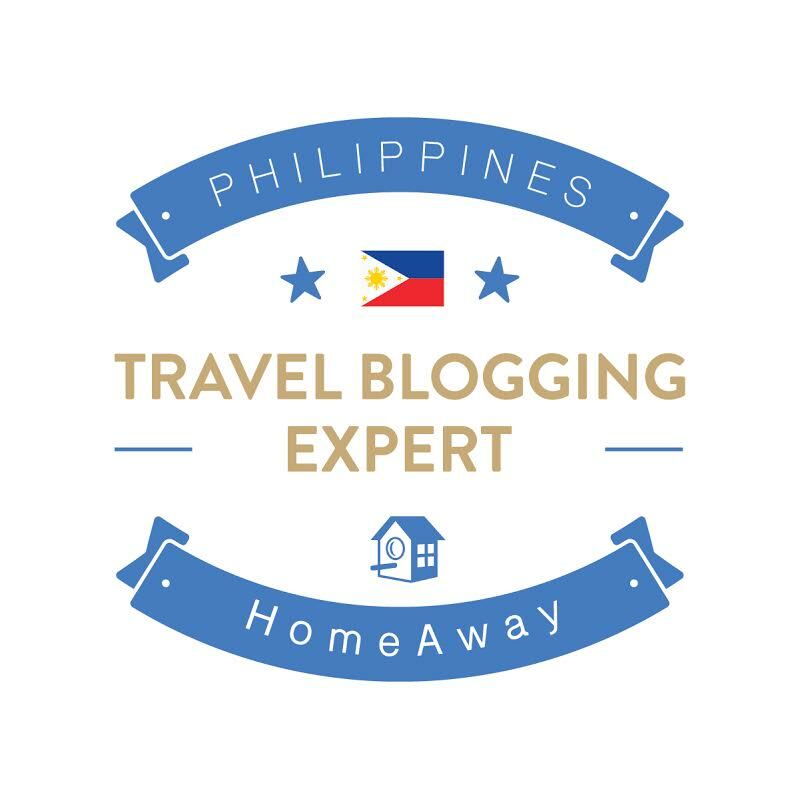 For timely updates, like his the page on Facebook : http://www.facebook.com/pinoymountaineer | Twitter : @gideonlasco, mine is @jovialwanderer.